A handful of elected officials used more than $28 million from their campaign accounts for investments, making it the second largest category of expenditures in the 2018 election cycle. Candidates for state office in Texas have spent more than $120 million so far in the 2018 election cycle — and a handful of them sunk a big chunk of that into investments that ranged from government T-bills to tech stocks, a Texas Tribune analysis shows. The investments exceeded $28 million, making such expenditures the second highest category after advertising even though just four candidates reported investments from their campaign accounts — Gov. Greg Abbott, Lt. Gov. Dan Patrick, Sen. John Whitmire of Houston and GOP Comptroller Glenn Hegar. Whitmire, a Democrat, sank nearly $9 million into the stock market, buying $1.4 million worth of Amazon shares, $850,000 in carmaker Tesla, $619,000 in airline company United Continental Holdings Inc. and $300,000 in Energy Transfer Equity [founded by billionaire Kelcy Warren], among other purchases, according to campaign filings. He also spent more than $13,000 on Houston Astros tickets and more than $14,000 for tickets to Houston Texans games. Republican Abbott, meanwhile, is doing his part to nourish the federal government’s appetite for debt-financed budgets by buying more than $8 million in U.S. Treasury bills; Abbott had over $6 million stashed in safe certificates of deposit, which were also the preferred investment vehicle for Hegar, who bought $2.4 million worth of CDs; Patrick reported $1.8 million in CDs and a savings account. Abbott was both the biggest spender and the largest recipient of campaign largesse. He shelled out $16.3 million from Jan. 2, 2017, through late February of this year. Patrick, who had the largest single advertising expenditure for the period — $3.4 million for TV spots paid to Davis Lenz Media of Dallas — came in second with $10.4 million spent. Other big spenders included losing GOP Senate candidate Phillip Huffines [$6 million], his victorious Republican opponent Angela Paxton [$2.7 million], and Land Commissioner George P. Bush [$3.8 million]. All told, Republican candidates reported spending $102.6 million, nearly five times more than Democrats, who spent $21 million, for a total of $123.6 million in expenditures reported between the beginning of last year up to the week before the March primaries. The candidates spent $39.6 million for advertising, $11.5 million to consultants and $4.8 million on donations to other candidates and entities. The Tribune did not count spending in federal races. The Tribune analysis for state campaign expenditures does include money that politicians sank into investments. Abbott's investments were on top of the $16 million he spent for advertising, consultants, polling and other hard campaign expenses. According to a 1994 opinion from the Texas Ethics Commission, the Election Code allows state politicians to invest as much — whether for loss or gain — as their wagering hearts desire. The only restriction: “An investment may not constitute a conversion of a political contribution to the personal use of the candidate or officeholder,” the opinion said. At least two politicians used their campaign accounts to buy vehicles. Agriculture Commissioner Sid Miller spent $37,600 to buy a 2016 Chevy Tahoe SUV from Classic Chevrolet of Sugar Land, and another $10,000 on a used truck that he bought from the Texas Facilities Commission. State Rep. Jonathan Stickland, meanwhile, paid $12,650 for a 2008 Chevy Express 12000 passenger van. There were only eight Democrats among the top 50 spenders [not including investments]: Valley-area Rep. Ryan Guillen [$655,000], lieutenant governor candidate Mike Collier [$611,000], Sen. Kirk Watson of Austin [$511,000], gubernatorial candidate Andrew White [$500,000]; Rep. René Oliveira of Brownsville [$430,000]; Sen. Royce West of Dallas [$414,000], defeated incumbent Rep. Roberto Alonzo of Dallas [$392,000]; and Whitmire [$357,000]. The biggest jet-setters of the 2018 primary season included Abbott, who spent $770,000 on travel-related expenses, much of it for chartered aircraft. Abbott also plunked down just under $6,000 for rooms at the Westin in Maryland to attend the presidential inauguration and almost $4,000 for lodging at the Houstonian for the 2017 Super Bowl; Patrick spent $185,000 in the travel category while Collier, his Democratic opponent, spent $44,000, most of it on mileage reimbursements, commercial airfare and modestly priced hotels. Consulting firms drawing down big dollars for consulting and advertising included Murphy Nasica — led by longtime GOP consultant Craig Murphy — which received at least $6 million for the period, including $1 million from GOP Rep. Charlie Geren of Fort Worth. Jordan Berry of Berry Communications pulled in more than $985,000, while Axiom Strategies, led by Jeff Roe, a strategist for U.S. Sen. Ted Cruz, was paid more than $1.2 million. Norway Hill & Associates, the firm led by longtime Abbott [and previously Rick Perry] consultant Dave Carney, got at least $329,000 in fees; Abbott also spent $150,000 on campaign services from Deep Root Analytics, a conservative firm that acknowledged last year it accidentally leaked voters’ personal data. In the polling services arena, longtime GOP pollster Mike Baselice’s firm, used by Lt. Gov. 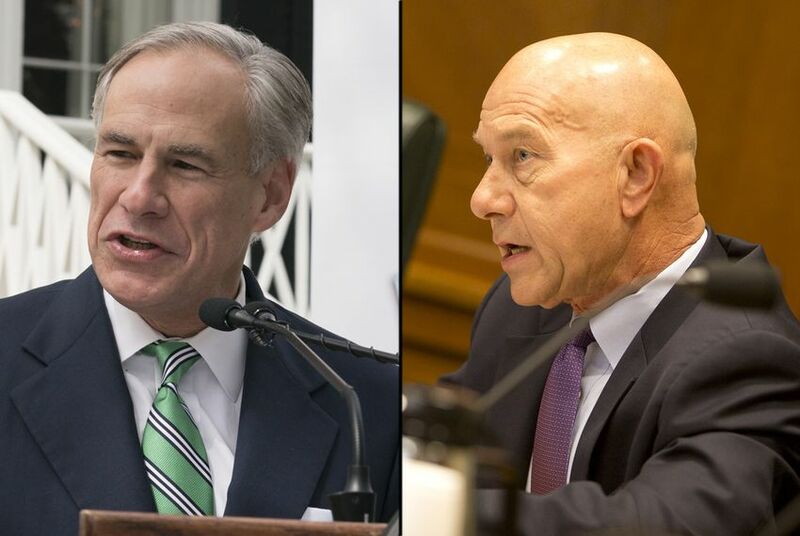 Dan Patrick and others, earned more than $612,000 for the period, while WPAi, led by Chris Wilson, which did polling for Abbott, Rep. Sarah Davis and others, got more than $680,000 for polling services. Ragnar Research Partners, led by pollster Chris Perkins and used by Bush, the land commissioner, earned more than $390,000. Disclosure: John Whitmire and Tesla Motors Inc. have been financial supporters of The Texas Tribune, a nonprofit, nonpartisan news organization that is funded in part by donations from members, foundations and corporate sponsors. Financial supporters play no role in the Tribune's journalism. Find a complete list of them here.